Cape Town-based high growth investment company Knife Capital has confirmed the 13 startups that will take place in its Grindstone accelerator programme, which is running for its second year. Knife Capital said it had chosen businesses with proven traction after an intensive review of their strategies, and will now provide them with the necessary support and build a foundation for growth through the transfer of skills, introduction to relevant business networks and access to funding. “We set out to find 10 innovation-driven SMEs to partner with, but the nature of the opportunities presented combined with corporate partnerships reached, enabled us to open the programme up a bit wider,” said Andrea Bӧhmert, director at Grindstone. The 13 companies include Cognadev, which develops innovative assessment and people development techniques, mobile services platform Comunity, banking and payment system software Electrum Payments, operating system developers Mobinomics, B2B marketing and lead generation agency MPULL, web design firm Nona Creative and events company Orisons. Online payments startup Payfast, gaming company Sea Monster, cardiac murmur assessment solution Sensi Cardiac, e-commerce platform builder Shopstar, digital tax assistant TaxTim, and transport payment solution for cities WhereIsMyTransport make up the rest of the list. 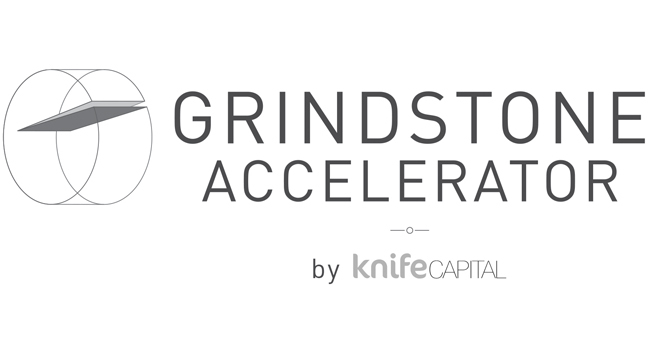 Grindstone has partnered with the likes of FNB, Microsoft BizSpark and PwC to bolster the development of the startups, with over 100 South African businesses having applied for the programme. “We were overwhelmed by the interest and deep interventions from leading South African corporates,” Bӧhmert said.